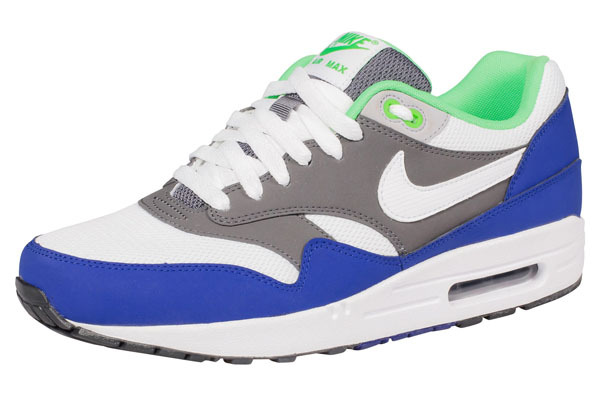 The newest release of Nike Air Max 1 is also a new collection inside the Nike Air Max 1 collection. 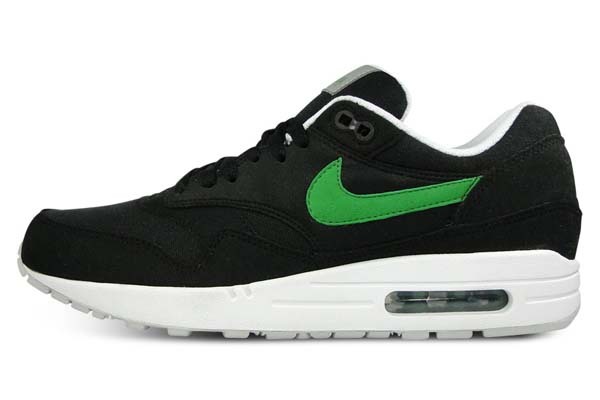 It’s called the Nike Air Max 1 EM. 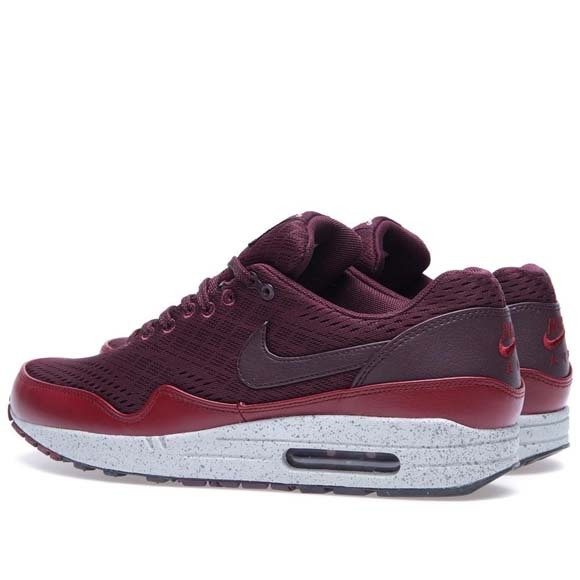 The most outstanding element from this line is the new fabric Nike used for the whole upper and tongue of this shoe. 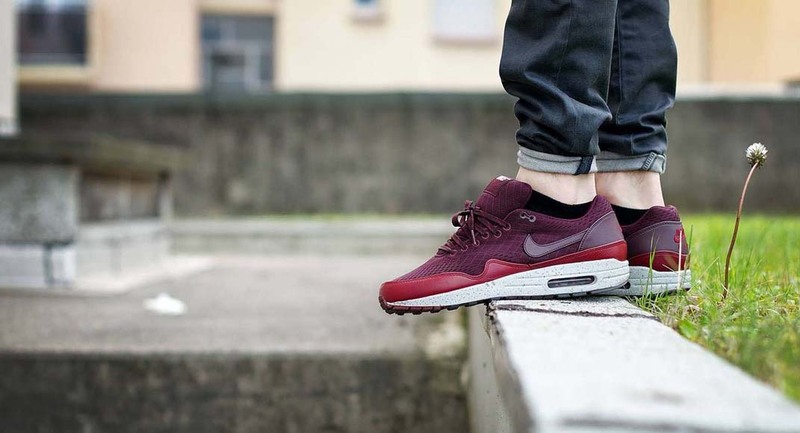 We all know the fabric Nike Air Max 1 frequently uses for the part on top of the toes: the toebox, around the ankles and for the tongue of the shoe. 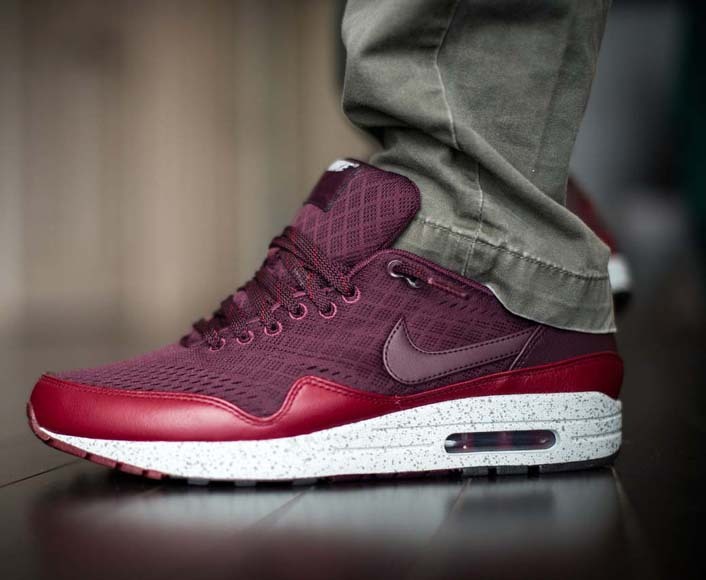 This fabric is called mesh. 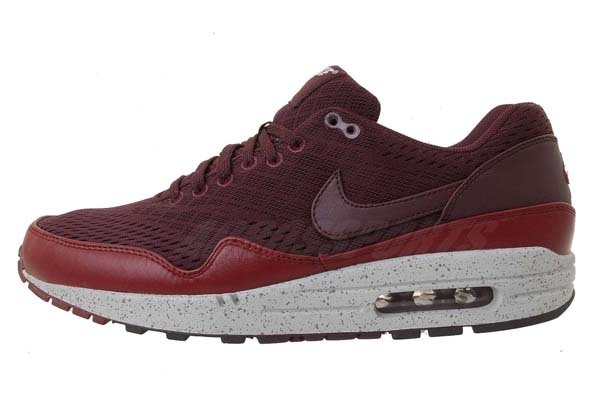 This fabric breathes so you will not get damp feet. 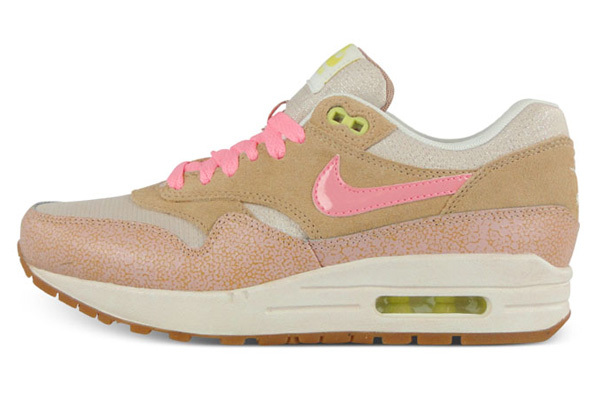 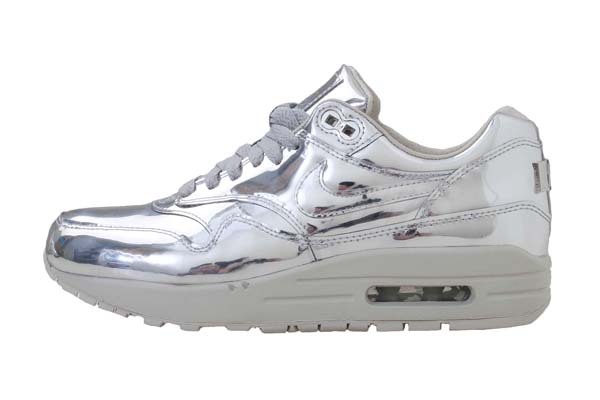 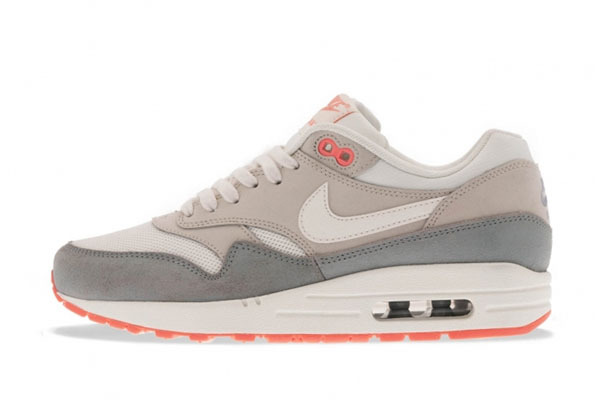 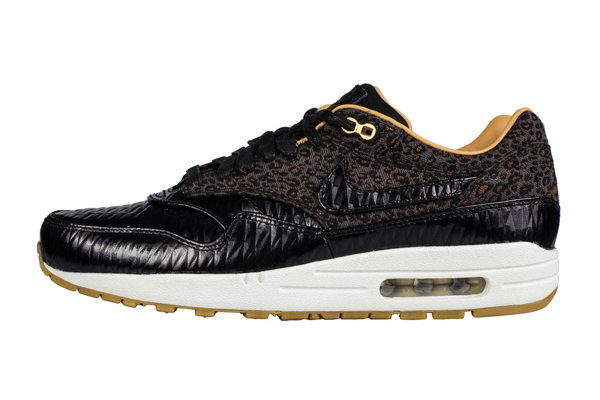 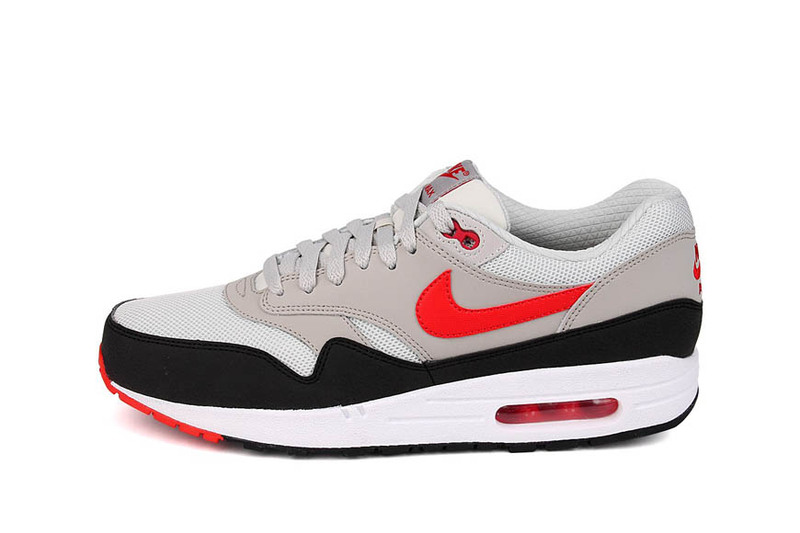 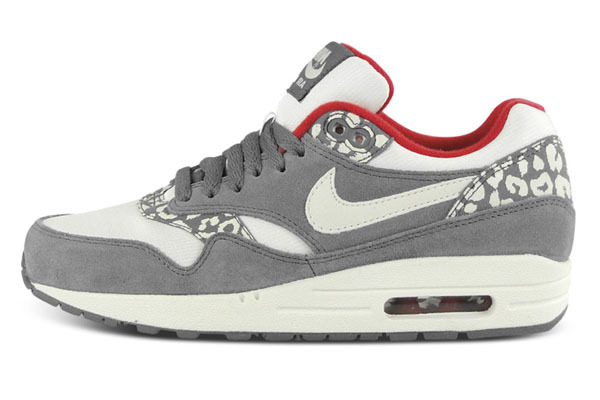 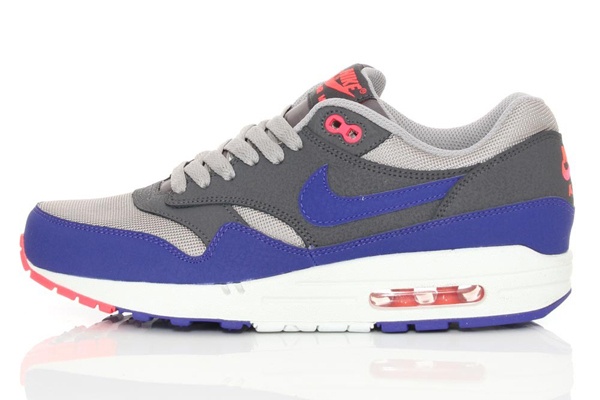 And of course it gives the Nike Air Max 1 it’s sporty look. 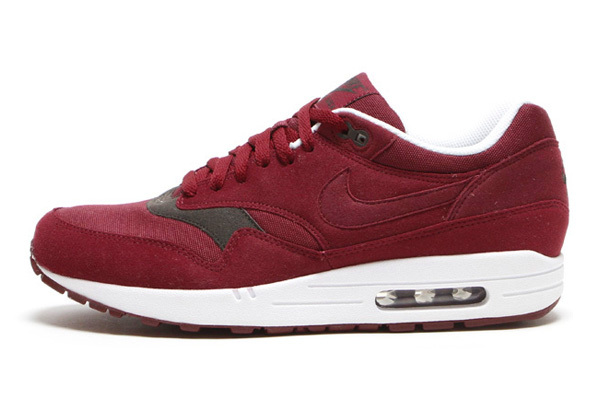 For this Nike Air Max 1 EM London – Deep Red, nike used a similar fabric but also very different. 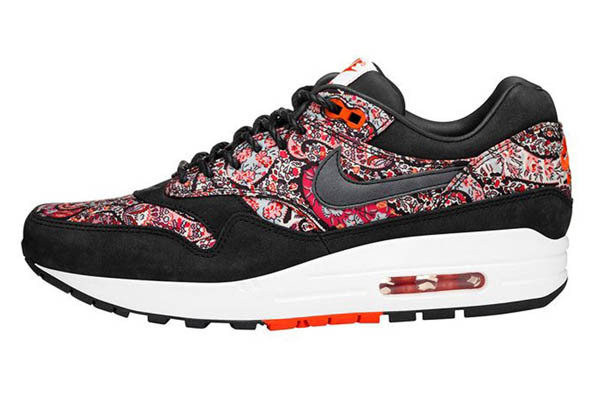 This fabric is not the same all over the place. 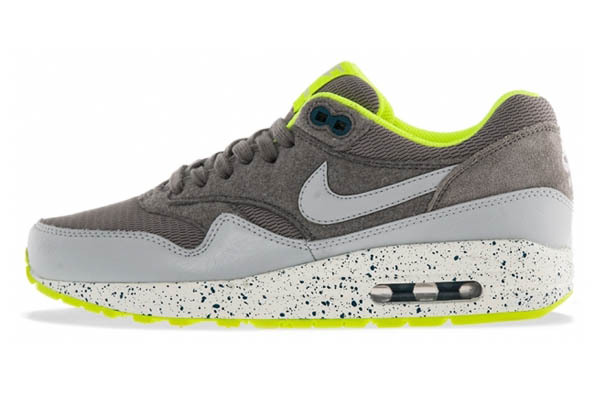 On the toebox you see tiny oval holes. 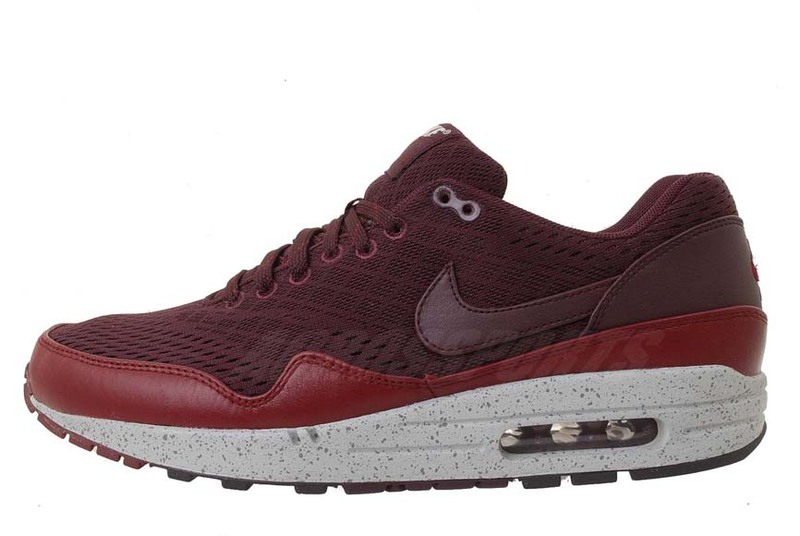 You also see these holes on the heel of the shoe. 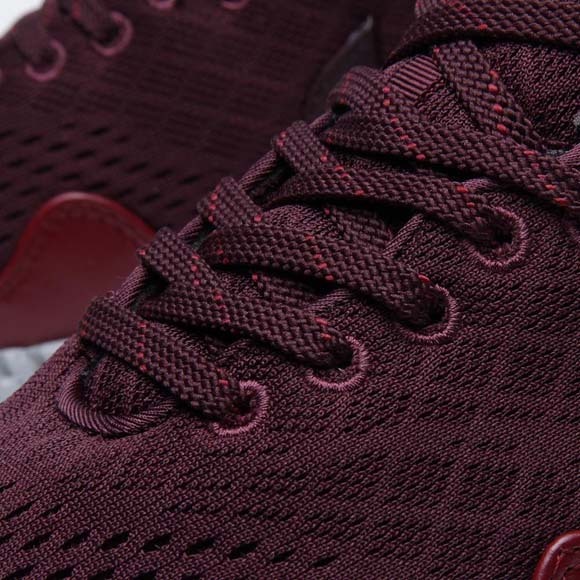 This pattern runs over into an other pattern you also see on the tongue of this shoe. 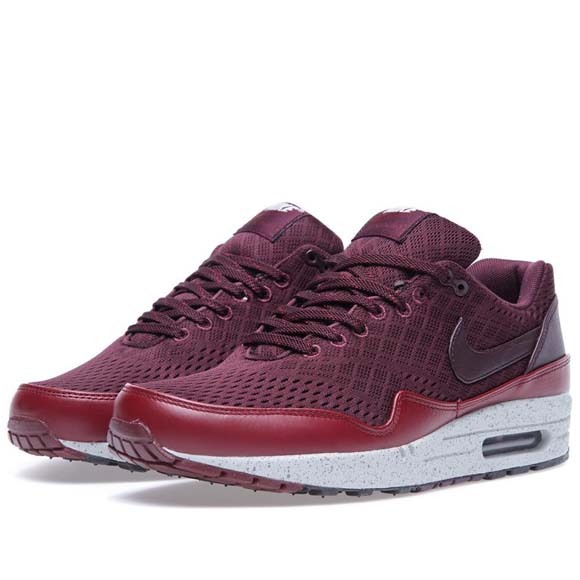 This fabric comes in Deep Red. 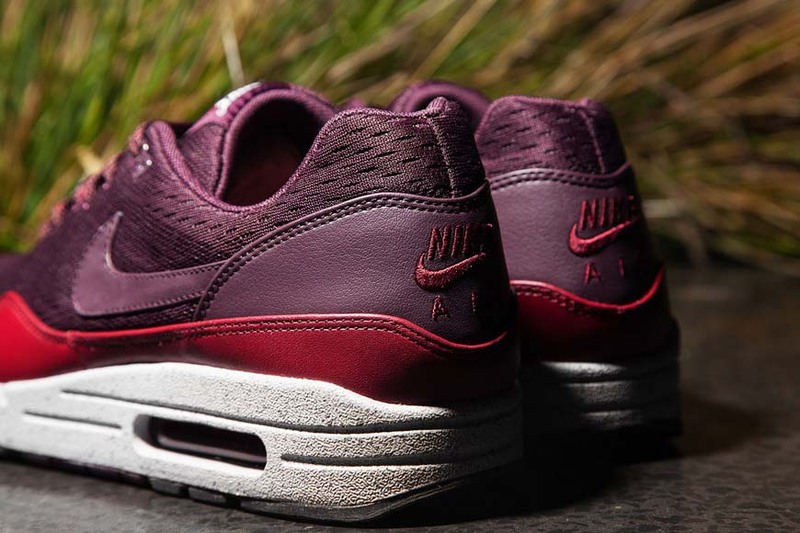 This purple kind of color also comes back in the laces and on the Nike swoosh and piece of smooth leather on the heel. 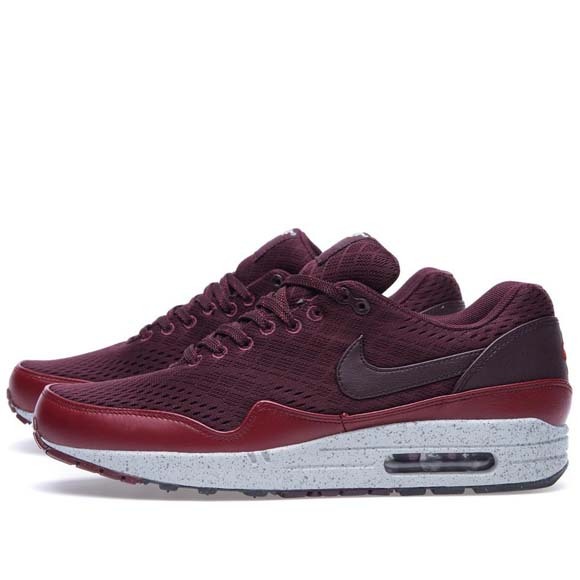 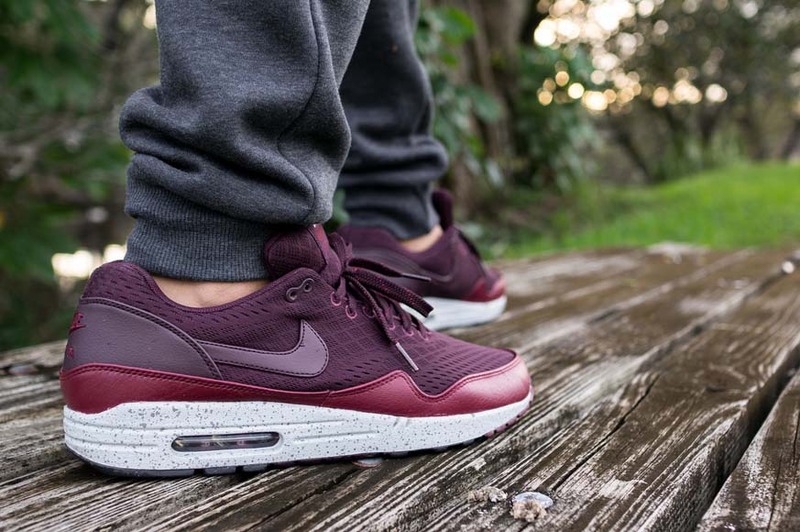 Around the shoe of this Nike Air Max One you find a path of smooth leather in a pretty wine red color. 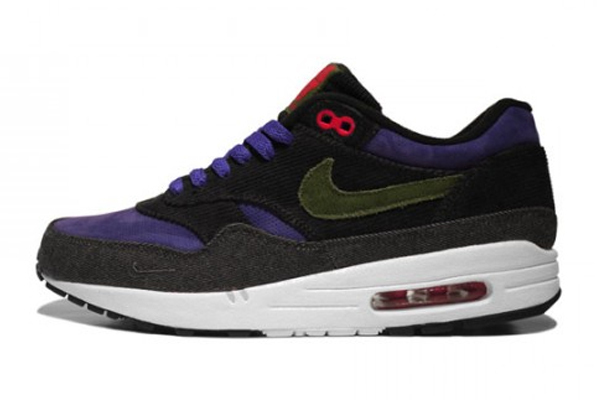 Thie mid-sole comes in white with purple speckles. 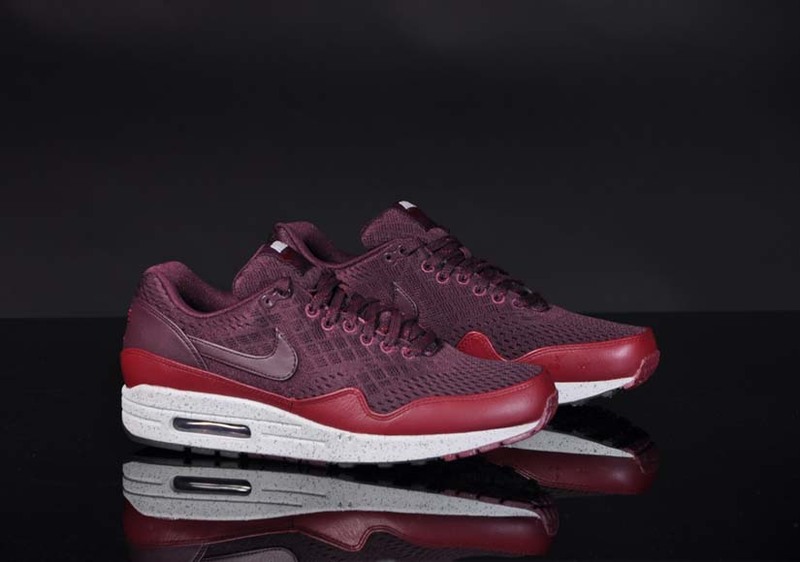 The air-bubble is see through and the rubber sole also comes in Deep red. 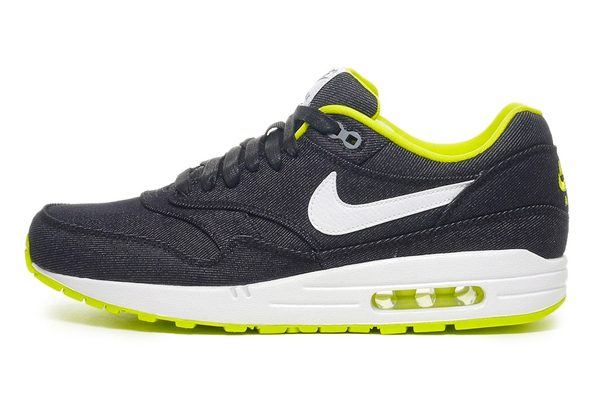 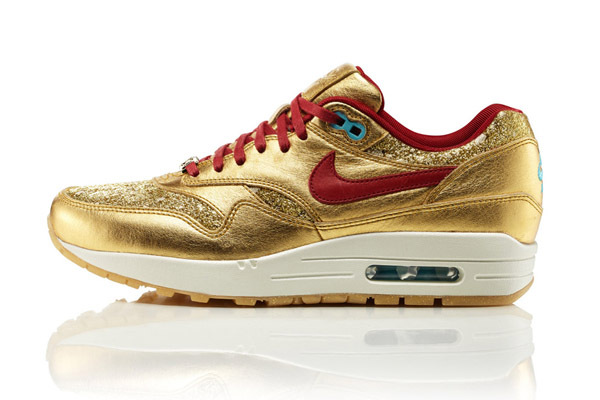 What do you think about this new EM collection within Nike Air Max One?